The home side may dream of qualifying for the UEFA Europa League this season and are currently in a strong 5th place in the table. The guest team, on the other hand, can look forward to a first season in Ligue 1 and will not have anything to do with the descent. 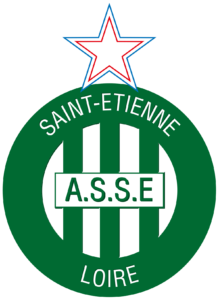 AS Saint-Etienne is one of France’s most successful teams with 10 French championship titles. The glorious times are already many years back, because the last league title could be achieved in 1981. After all, they were French Cup Winners in 2013, which is also the last trophy you could lift in the air. In the league, the team acts mostly very successful, and can show since the season 2011/12 always a single-digit place. The coach has been Jean-Louis Gasset for two years and currently occupies fifth place with his team. All you have to do is top teams like Lyon, Marseille or Paris. The results are also very positive with 13 wins, 7 draws and 9 defeats. The goal balance is 41:34 goals, with the defensive being among the strongest in the league and the offensive is rather average. Best scorer is the Tunisian Wahbi Khazri with 12 goals this season. A fact that should make Saint-Etienne courage, is the home strength of the team. 9 of the 13 victories could be won at home in Stade Geoffrey-Guichard. Only Paris Saint Germain and Olympique Lyon were able to win more at home. Even the not outstanding offensive can have a good record with 24 home hits. The form of the team is not very good in recent weeks with only 3 wins in 8 games, but note that opponents such as Paris, Marseille and Lille were there, it is only too understandable. At least the last game away against SM Caen, which was won 5-0, here should give additional boost. A victory against Nimes is also badly needed if you want to be represented internationally next year, because with Stade Reims is in sixth place a team that is equal to a point. The team from the south of the country has played first-class since this season and has been able to do so very well so far. By finishing 2nd in Ligue 2 last year, the team and coach Bernard Blaquart celebrated the climb. The majority of the squad could be kept and was even selectively strengthened, which should be very important for the upcoming Ligue 1 season. In this Nimes can claim the 11th place with 37 points and should have nothing to do with the descent in the last 9 laps. The balance is extremely balanced with 10 wins, 7 draws and 11 defeats. The surprising thing is that you can score very often especially abroad. Whole 5 wins could be cheered away and is with 17 points on place 8 of the away table. However, with 27 goals, the defense around captain Fethi Harek conceded too many and should stabilize even more. On the offensive, with the young Frenchman Remi Oudin is a promising talent in their own ranks, that could already achieve 9 goals this season. For 3 games, however, the team is waiting for a win and was able to get a 2-2 at home against RC Strasbourg. The first duel against AS Saint-Etienne also ended in a 1-1 draw. In October last year, Nimes managed after a 1: 0 deficit in the 74th minute nor the 1: 1 equalizer. Both teams can make friends with their previous season performance very well and probably also play a bit about their possibilities. AS Saint-Etienne could make it back to the UEFA Europa League this year. 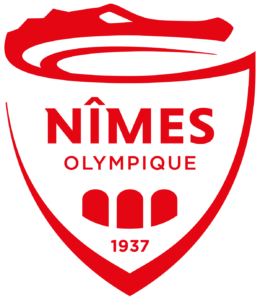 Olympique Nimes can say goodbye as elevators with the 11th rank of the direct re-descent. Nevertheless, in the duel of these two teams, we still believe in Saint Etienne’s win thanks to their strength and experience. Therefore, we recommend a tip 1, which also raises a lucrative rate.